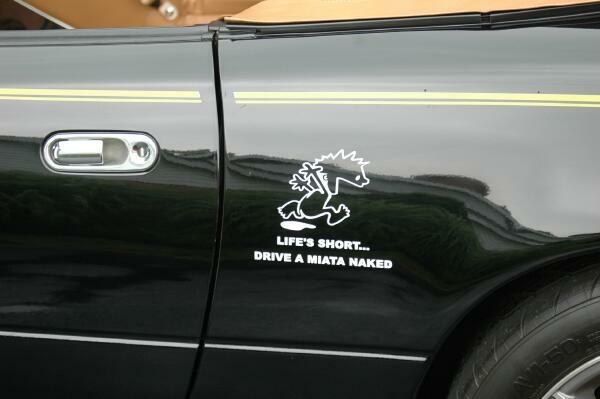 Add a little fun to your Miata with these great little Miata decals. 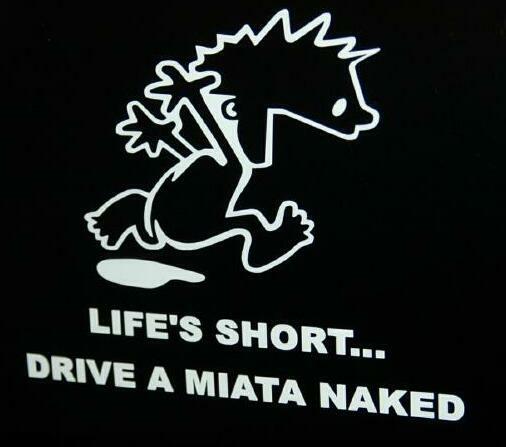 Made of first quality vinyl to last years on your Miata. Can be used on any part of the body, as well as on any window. Decal size is approx. 5 inches high and 6 inches wide. White.... usually for darker colored cars. Black..... usually for the lighter colored cars. Price: $8.00 Each + $1.00 Shipping.